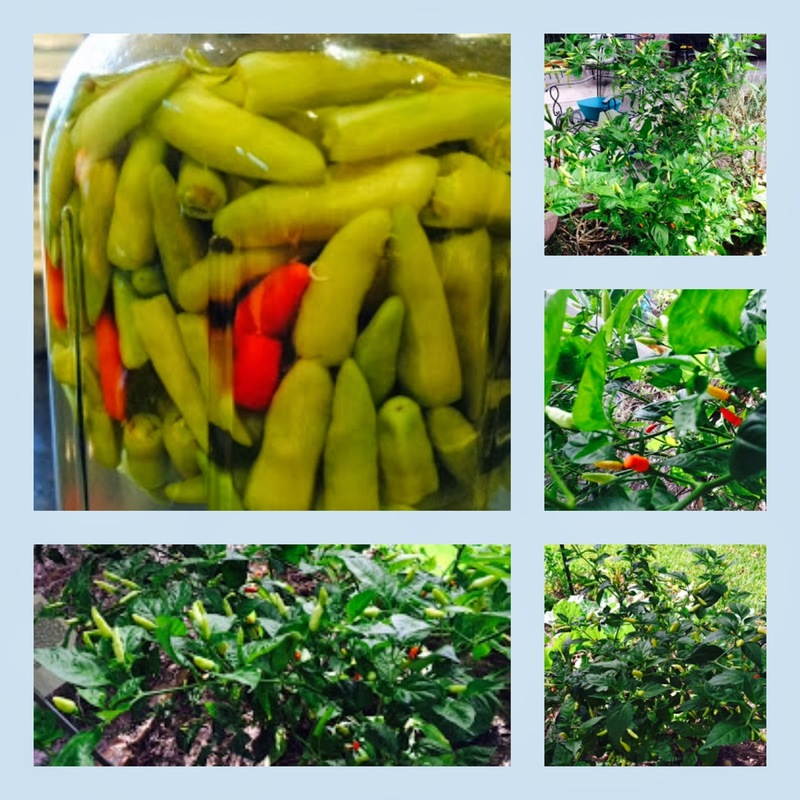 Our tabasco peppers plants are bursting with peppers! Ran loves spicy spicy foods, and since I don't want all of these lovely peppers to go to waste, Pepper Sauce it is! I had to show off my rain boots! I love them! Wash the peppers and trim the stems. Wash and sterilize your jars. I was very optimistic. I was sure that these bottles would soon be filled with peppery goodness. Add fresh garlic and peppercorns to the jars. I used a lot of garlic, 7-10 cloves. We like garlic a lot around here. Put the peppers in the jars. My husband eats the peppers as well as the spicy vinegar sauce, so I used jars that would make the peppers easy for him to access. Bring white vinegar (or apple cider vinegar) to a boil with 1-2 tsp of salt, depending on how much you are canning. Allow the vinegar to cool and pour over the peppers and garlic. I had to fill my teeny baby jar...too cute! I love the colors, all red and yellow and green! This was the first batch. I really thought the peppers would fill these bottles to capacity! Here are my finished peppers! And, here's take 2 after my dad brought me the tabasco peppers from his yard! I just couldn't get enough of these fragrant peppers! 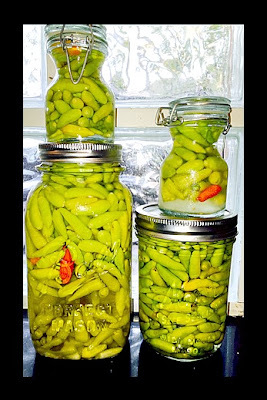 I love preserving the harvest! !